ITEC is happy to introduce retired General Motors, United Auto Worker and tool maker, Mike B.. Now, Mike is a self-employed, certified home inspector, as well as a loving husband and father of a daughter and son. 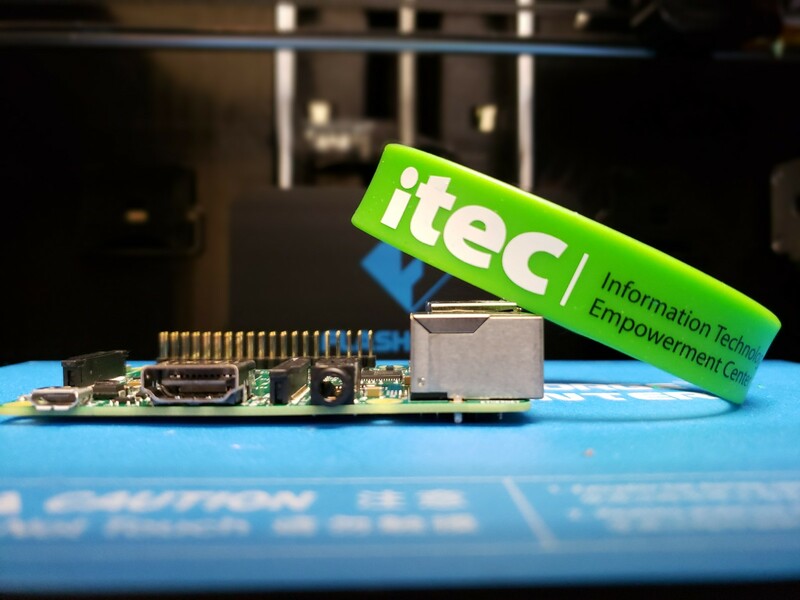 Mike sat down with us to share his experiences taking ITEC’s Everyday Digital adult computer course. A: For years, being in the positions that I was in, I had purchased computer systems for our office, but I never used them. I was never forced to do it because I had people surrounding me that were available, and that was their job, it wasn’t mine. Mine was to provide the tools for them and they were the ones executing the different things on the computer. I knew enough to write my reports and do my accounting. But I chose to stay out of the field because I didn’t want it. To me it was hard because I can’t sit there for an hour or two and sit in front of the computer. I’d rather be using a hammer, running a shovel, helping someone out. I was stuck in those four walls continuously solving problems and continuously setting up things. Now it’s like “wait a minute, I don’t want to go to that computer. It’s going to be a problem for me because I don’t have the experience.” So the reason why I chose to was to start with some basics, get through it. It’s been enjoyable. Q: What was your favorite part about taking the Everyday Digital Course? A: It’s easy to come here if you need smaller groups, the instructors are fabulous. If you need one-on-one, you have it. I’m a little slower, I don’t know the keyboard, I don’t type much and it slows me down. And the books get really deep, meaning there are practices and activities, and it takes me quite a while to get through those, just because of the hand pecking (typing) and not knowing the computer. It seems that the instructors go with the flow. Everybody is on the same level in class during the instruction, but we all know that we’re in different spots in the class. I like the friendliness and the atmosphere of the Foster Community Center, it’s just a good place to be. Q: What has been the most challenging part of completing the course? Q: What is the most important lesson you’ve learned from participating in these courses? A: The most important lesson I’ve found is that I’ve kind of left myself behind in today’s world because I’ve chosen not to experience, utilize that tool, the computer, to the ability it has and knowing that it’s not going to stop, it’s going to continue, it’s going to keep advancing and why do I want to stay in the dark ages? I mean from my old days 30 some years ago at a drafting table with a ruler in a t-square, drawing lines, where with this, a push of a button would perform that quickly. Q: If there was one thing you could tell a person who’s interested in potentially taking an Everyday Digital course, what would you tell them? A: Come and open those doors because those doors are available. Don’t shut the door, walk through. The system is here, the people are here, the people are kind. It’s available, and it’s available at a lower cost rather than spending more money to take other classes. Here it’s so easy, the parking’s available, it’s in a great little neighborhood, and it’s easy to get here. The people are great and supportive. Just come and find out about it, it’s a great place to be.